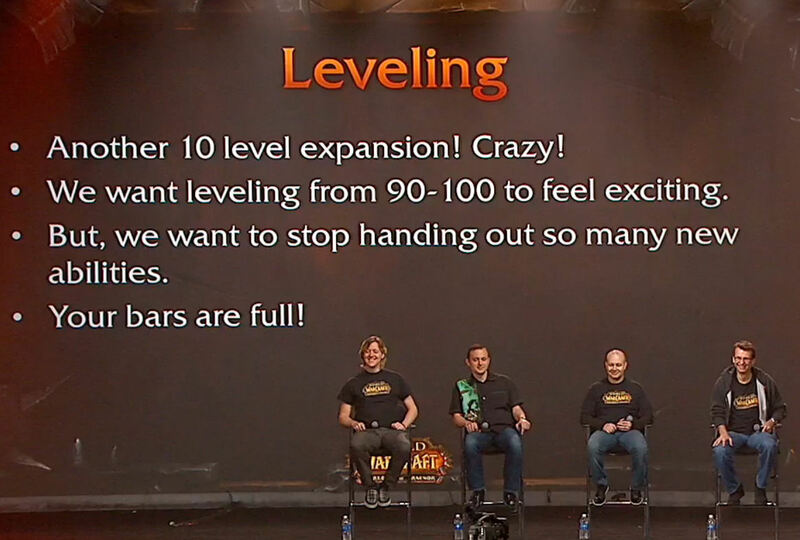 Way back when Warlords of Draenor was announced… back in late 2013… one of the things I was excited about was the return to a 10 level expansion. The previous 10 level expansion era, the time of The Burning Crusade and Wrath of the Lich King, was a high point for our regular group. 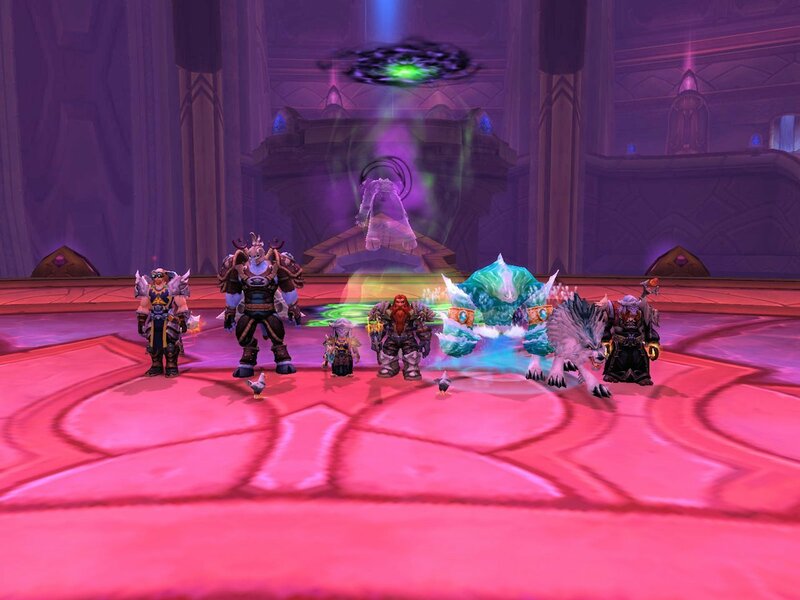 Of course, we call it “the instance group” because we are a five person team that likes to run dungeons together, and both TBC and WotLK offered up 16 normal mode dungeons a piece to work through while leveling up, and then heroic versions of each after that. Yes, the last few normal mode dungeons were meant for the level cap of the time, but there was still more than one dungeon per level and, with doing the lead-in quests out in the world, you could make your way to the cap by following a happy dungeon running path through the expansion, if that was your thing. That, however, was a different era. Cataclysm and Mists of Pandaria and a lot of changes in game philosophy have come and gone between those days and Warlords of Draenor and its 8 normal mode dungeons, four of which lock out anybody below the level cap. In fact, all of the dungeons are locked out to players below a set level, even if they walk in the front door… and we always try to walk in the front door. 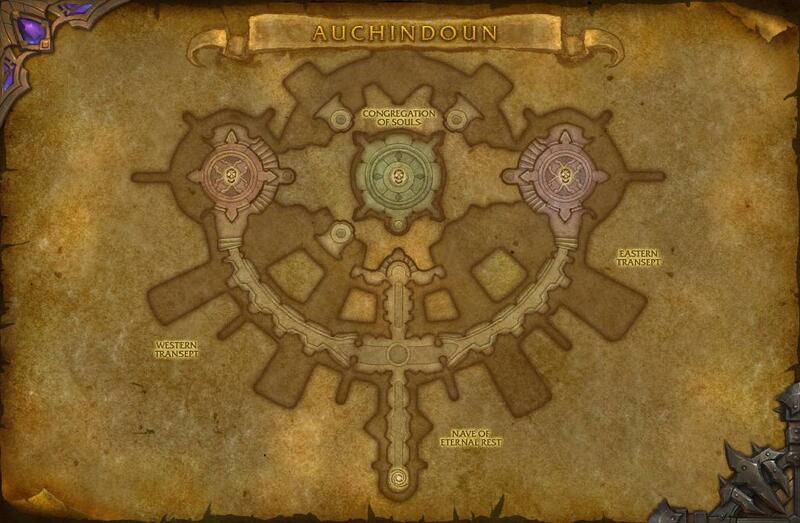 No longer can we try out a dungeon a few levels ahead of its designated prime. And so it was that, after a couple of weeks of leveling up a bit, our group was back together and standing in the entryway of Auchindoun, the third instance in Draenor. We only had to be 94 to walk in it seems, but in-game the only way to check is to actually try to walk in or via the dungeon finder and, as it turns out, the DF requires one more level to queue than to walk in… at least for the first four dungeons… so we thought 95 was the bar we had to reach. Ula and I actually went a bit too far. I got Tistann to half a bubble shy of 96, intending to turn off exp at that point, only to stop and do a couple of pet battles on the way to the guy… oops. Anyway, we were there and in the instance and… well… thing went pretty smoothly. Huge equipment upgrades from garrison missions and crafting put us all above the item level required for the run so that yard trash melted before us and the bosses barely had time to take a breath before they moved to their next special attack or event. The instance is something of a horseshoe in shape. You go to the first boss off to the left, then run back to the middle again for the second, then off to the right for the third, before heading back to the center again to head straight up the middle for the final encounter. The first fight with Vigilant Kaathar involves hiding behind his shield at the right… and clearly indicated by the announcement in red letters… moment, and then beating him down. Then it was back to the center of the horseshoe and Soulbinder Nyami, who has a great voice, but whose special attack I cannot even recall at this point, it having gone by so quickly. Then around to Azzakel, who summons helpers and who might be the ugliest boss so far in Draenor. When he is alive his green skin pulsates with what looks like horrible sores. After that, it was time to get to the center of the whole thing, which involved a few warm up fights on platforms around the center stage. Finally, we hit the central platform and squared off against Teron’gor, whom we burned down so fast he never really got a chance to move off of his spot. He just sort of fell off the back side of the platform and that was that, mission accomplished, time for a picture of the team. It all went past so quickly that we went back and did it again, stepping out of the instance, resetting it, then heading straight into the thick of things. 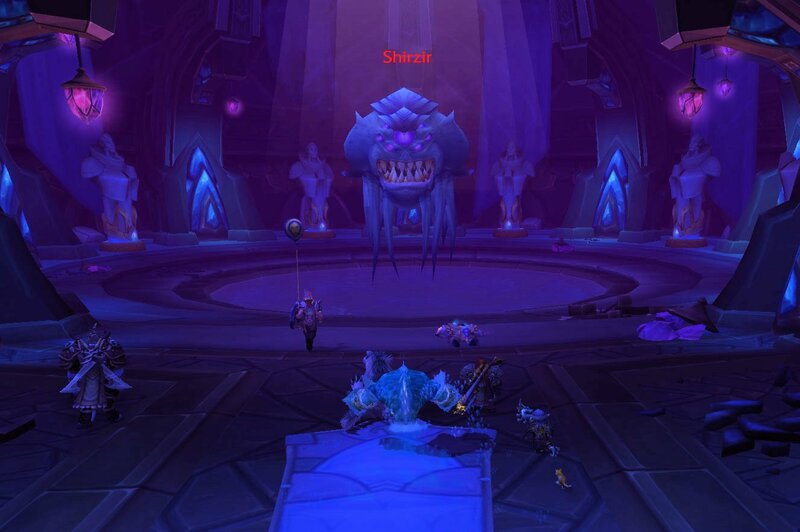 That is the only reason I know that Teron’gor moves, because we didn’t kill him quite so quickly on our second run through and he actually left his spot during the fight that time. The runs, while quick, did yield more gear upgrades. Bigbut was a primary beneficiary, as leather gear seemed to be dropping in abundance. 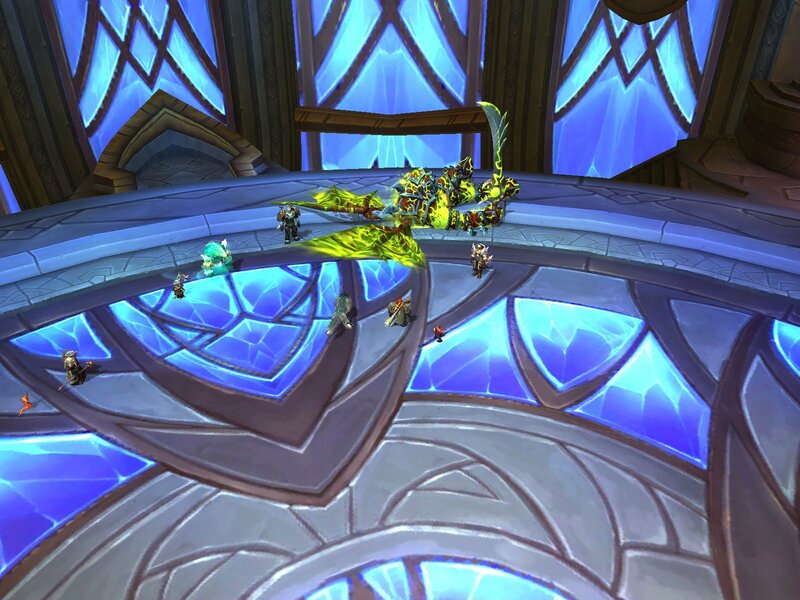 After that we decided to run around Talador picking off rare mobs and wrapping up a few quests that people had. We actually had a few deaths in that big mob melee event down the hill from the mining camp on the road to Shattrath. But otherwise we were slaying all who stood before us. Of course, I’m sounding pretty cocky at this point when it comes to the ease with which we have slipped through the first three instances in the expansion. Now we all just have to get to 96 so we can walk into Skyreach, the next… and last pre-100… instance on the Draenor hit parade. The cockiness might end there. The previous weekend, when only four of us were on, we got out our level 100s and tried to do a four person run and came up short on the first boss, Ranjit. We got close, but couldn’t quite power through it. 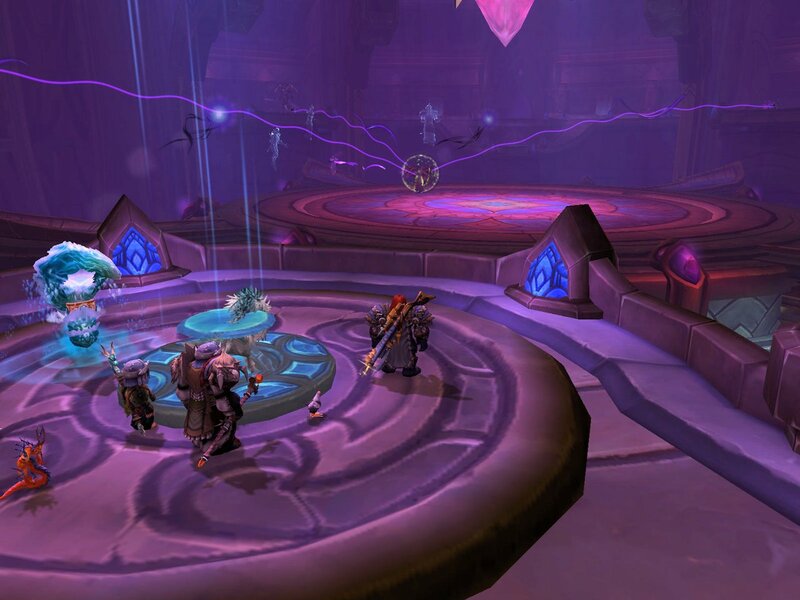 It might have been because Skronk, attempting to heal for the first time with his pally alt, was getting overwhelmed. Or maybe we just didn’t get the mechanics of the winds and how we needed to position ourselves. Or maybe the instances finally start ramping up at the fourth one, leaving us facing a real challenge. But first we have to get everybody leveled up so we can even get into the instance. 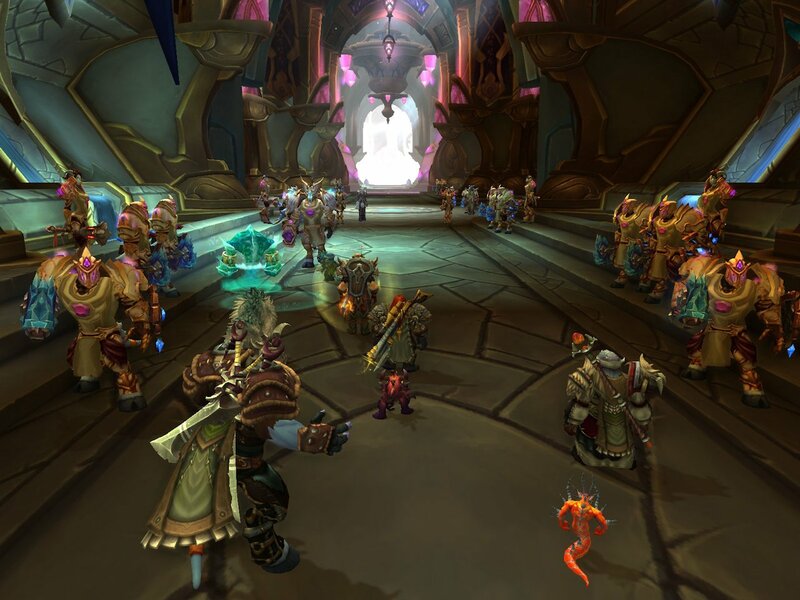 This entry was posted in entertainment, Instance Group, World of Warcraft and tagged Auchindoun, Warlords of Draenor on April 2, 2015 by Wilhelm Arcturus. Ah yer the moving out of all the swirling stuff whilst trying to heal all of the people at the same time is a tough call for starter pally healer ;) You will get there though, just practices. Nice to see that people are still doing group instances too, this expansion has not really been the best for groups indeed.